Once upon a time, I was pregnant with a little baby. The Hubs and I didn't find out the gender until the day of Baby K's arrival, so we decorated a neutral-themed nursery with adorable little lambs. Out popped Henry and Boom! Blue was the accent color. Before we knew it, we had another baby - a girl. 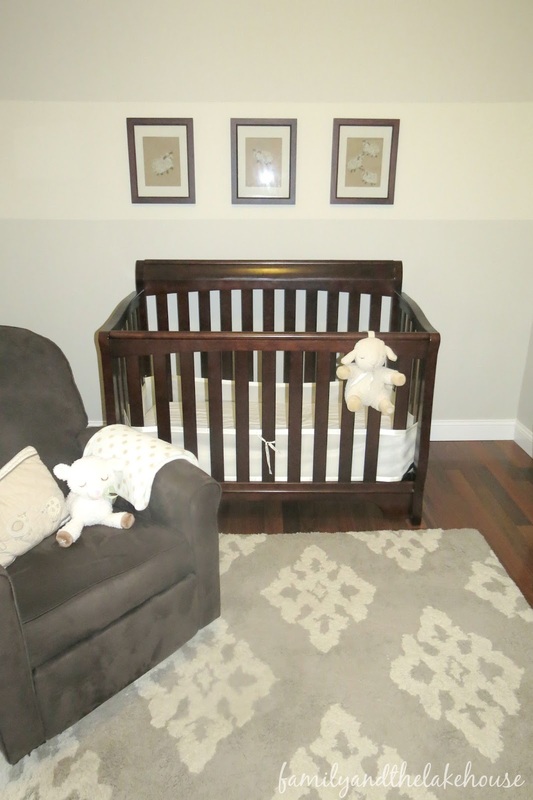 The nursery stayed the same (except for Henry's photos and such) since we once again didn't find out the gender. Let's just say, the cute-blue accent-lamb nursery-fairytale ended. 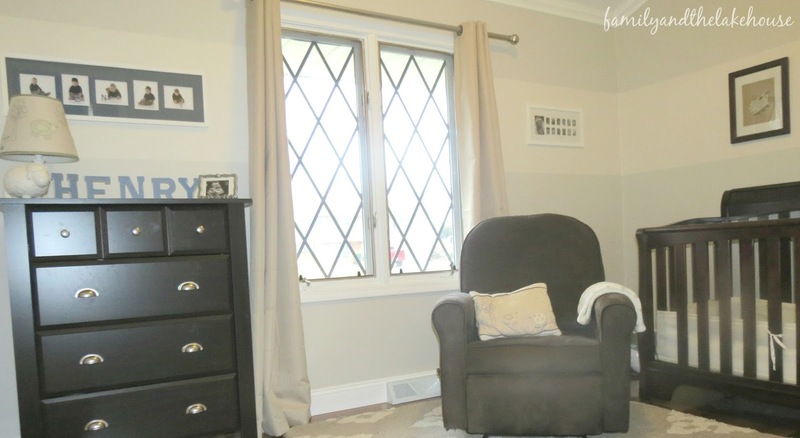 The overall neutral-themed nursery just wasn't cutting it anymore. It, instead, had become more of a spew of little lambs/blues/pinks/hand-me-downs - ultimately it became a room with no direction. After all, how much longer do I have before I can't make these sort of design choices? Miss. Eliza is already very adamant on wearing a dress every.single.day., I'm sure her "design" choices are right around the corner. Okay, okay. They could only reach so high. 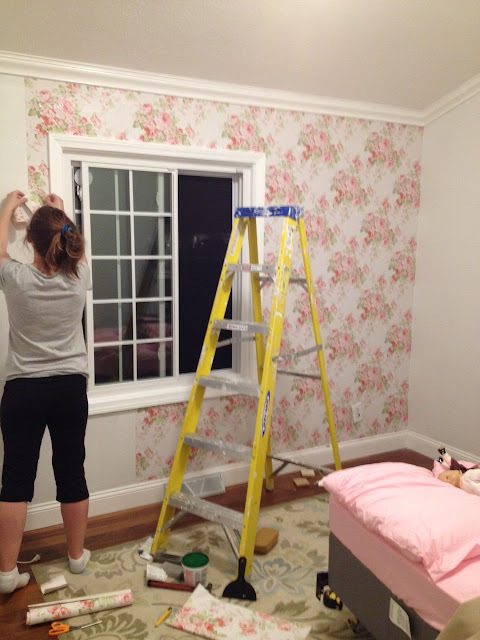 I suppose it was up to me to get the job done and add those vibrant details (AKA super girly floral wallpaper). Enter: Marie at 1 a.m. 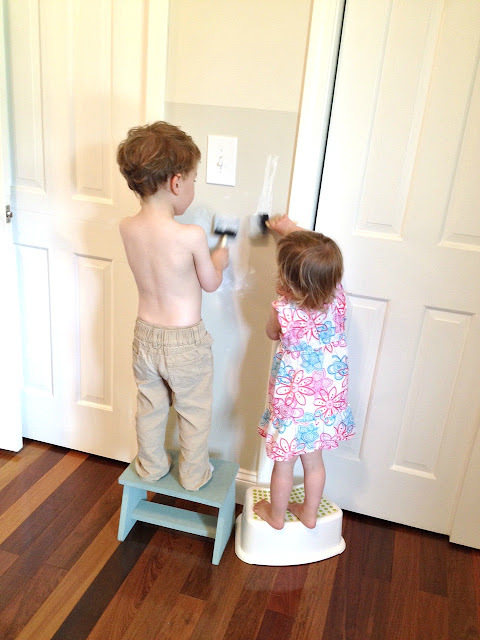 The most reasonable time to work on a home project is while the kids are sleeping. AmIRight?! Who's with me?!! I kid you not that my neighbor arrived home from his third shift job and saw me working on this space from the outside. I heard him cough at one point, perhaps in an attempt to get my attention so that he could ask me what the heck I was doing. Ooooor....he just had to cough and I'm just paranoid. I finally finished the job at 2 a.m. Aaaaaand the kids promptly woke up at 7:30 a.m. I'm absolutely in love with this space. It gives me tingles every time I walk by it. Oh and I just noticed that the mirror is nice and grimy. I believe Eliza was "cleaning" the mirror for me when I took this picture. Oh well, that's real life for ya', folks! That wallpaper totally rocks! I love it so much. I wanted to pop in and say that I read the comment you wrote on my blog post about the Haven Conference, and it made my day! For some reason I was not able to reply to the comment on my blog. 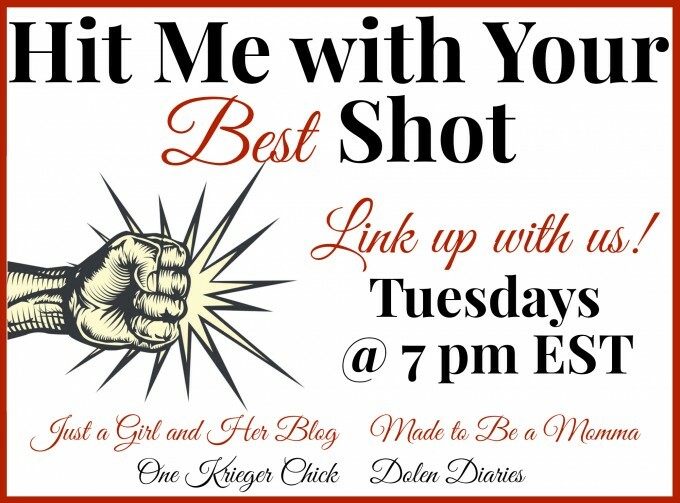 Only another blogger could know how much it means when someone writes a comment such as yours! Your blog is totally adorable, and you seem so sweet! If you decide to go to Haven next time, let me know and we will make plans to meet up. In the meantime, if you ever have an idea to collaborate on anything together, throw me a line! Oh I love this. Can't wait to see it all come together! AHHHH! Thanks sooo much! Let's hope that it DOES come together! HAHA! That wallpaper is soooo pretty! Great job Mama! Thanks, girl. I've always heard that you're supposed to decorate your home the way that you dress. Well...I guess I don't dress this way, but Eliza sure does! ;) HA! I love it so much and I wanna see more of the room!! Awesome job! EEK!! Thanks, babe! I'm soooooo nervous!!! I love! 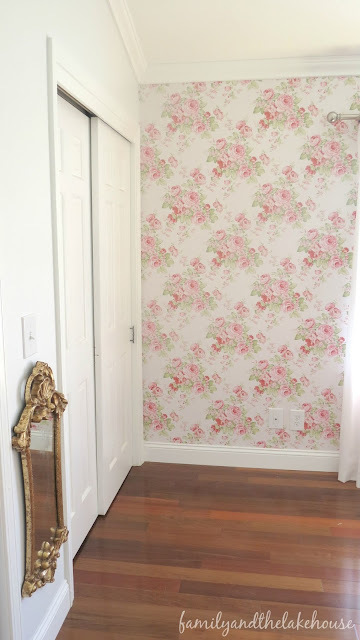 I'm going to do wallpaper for our third - so cute! How cute. I can't wait to see it! What do you think you're going to do? How exciting! It looks beautiful and I love how you didn't find out the genders. We didn't either!